Clark Seif Clark’s industrial hygiene and indoor air quality professionals identify and help to resolve potential occupational exposure risks. 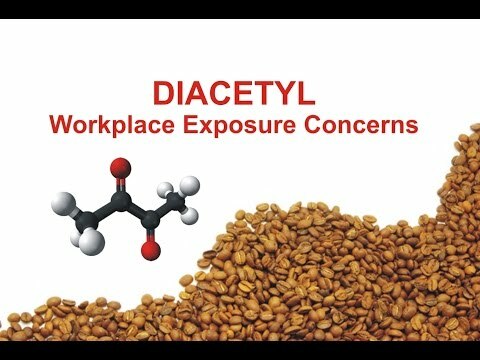 Coffee shop workers have the potential for overexposure to respiratory hazards such as diacetyl and 2,3-pentanedione, particularly during or immediately following coffee bean grinding. Last year, the National Institute for Occupational Safety and Health (NIOSH) published the science blog, Coffee Workers at Risk for Lung Disease. It discusses two alpha-diketones, diacetyl and 2,3-pentanedione, both volatile organic compounds (VOCs) that workers can be exposed to when roasting coffee or working with certain food flavorings, such as butter-flavored cooking oils. Each of these chemicals is naturally produced when coffee beans are roasted. The NIOSH document details a case where multiple workers from a coffee processing facility were diagnosed with bronchiolitis obliterans, a form of lung disease. Bronchiolitis obliterans occurs when small airways become inflamed and scarred. The symptoms and airways obstructions range from mild to severe and do not improve when the employee goes home. Bronchiolitis obliterans is a rare disease, so it is likely some workers in coffee roasting facilities have been misdiagnosed with asthma, bronchitis, emphysema or pneumonia in the past. The loss of pulmonary function associated with severe bronchiolitis obliterans is permanent, so preventing the disease is essential. To learn more about this or other occupational, industrial hygiene, environmental, indoor air quality (IAQ), health and safety testing services, please visit www.csceng.com, email csc@csceng.com or call (800) 807-1118.